Set of 2 - max weight capacity 65kg evenly distributed. Quick release bars that mount on the shaped posts within the roof flaps. The transverse roof bars increase your loading capacity and make the transportation of bulky objects easier. Multipurpose, they permit the installation of various transportation accessories: Roof boxes, bike-carriers, ski-carriers, kayak-carriers, etc.. Perfectly suited to the dimensions and style of each vehicle, they have been designed to avoid scratches to the bodywork and are fitted with an anti-theft system. Installation and removal are simple and fast. According to model, the transverse roof bars can be fixed on the longitudinal roof bars. Product Description: Set of 2 - max weight capacity 65kg evenly distributed. Quick release bars that mount on the shaped posts within the roof flaps. The transverse roof bars increase your loading capacity and make the transportation of bulky objects easier. Multipurpose, they permit the installation of various transportation accessories: Roof boxes, bike-carriers, ski-carriers, kayak-carriers, etc.. Perfectly suited to the dimensions and style of each vehicle, they have been designed to avoid scratches to the bodywork and are fitted with an anti-theft system. Installation and removal are simple and fast. 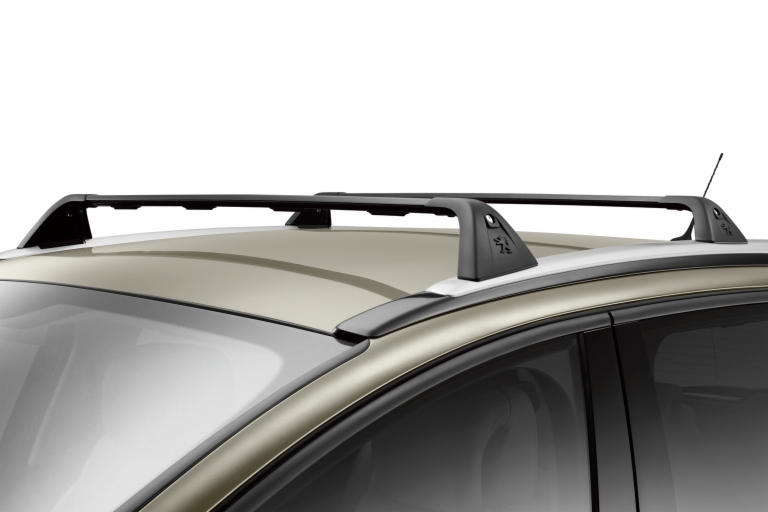 According to model, the transverse roof bars can be fixed on the longitudinal roof bars. Product Fitting Note: Set of 2 - max weight capacity 65kg evenly distributed - Quick release bars that mount on the shaped posts within the roof flaps.